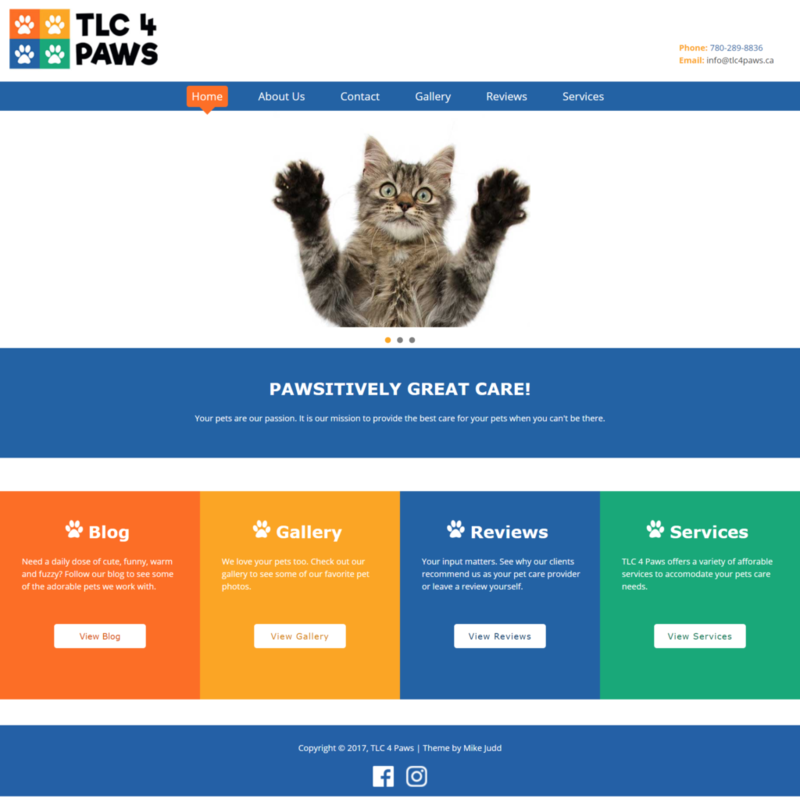 TLC 4 PAWS is a locally licensed, affordable, professional pet care service in the City of Edmonton with a growing client base. Problem was they had no existing online presence other than through Facebook, so they approached me about designing a mobile friendly website to take online bookings and engage their clients online in addition to updating their brand identity to give them a fresh and fun new look. For this project I started with the logo design by creating a simple four paw, icon style design, with a fun and bold font for their company name and a tetrad colour palette using the client’s favorite colour orange as the base. Using the underscores.me, I created a WordPress theme that is mobile friendly, informative user friendly. Features included are a blog page, booking calendar, client reviews page. In addition to this I put a focus on integrating their social media accounts (Facebook & Instagram) along with SEO optimization to help improve their online presence. Design logo templates, colour palette and final draft for client approval. 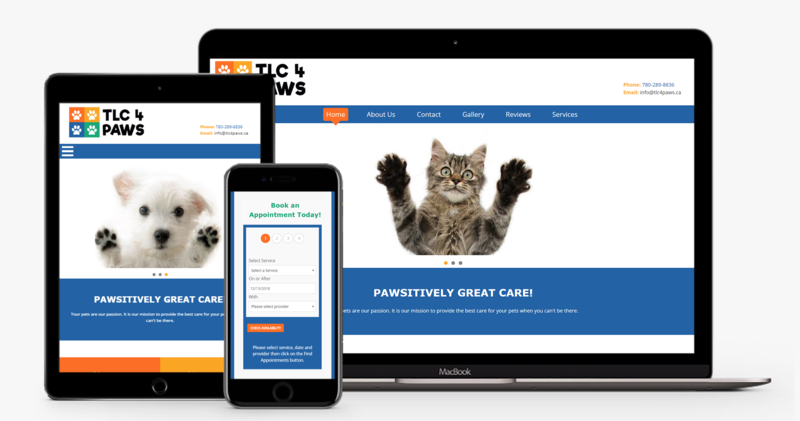 As you can see the results are an easily recognizable, print friendly logo and brand aesthetic with a matching WordPress theme that is mobile friendly, informative and showcases the clients love for animals. The success of this project lead me to complete further additional branding work for this client including completing business cards and a pricing guide.